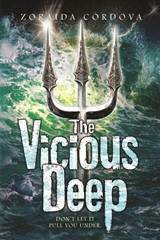 Enter to win a print copy of THE VICIOUS DEEP! In Zoraida Córdova’s debut to the entrancing new YA series , THE VICIOUS DEEP, sixteen-year-old Tristan Hart’s world begins to crash as hard as the ocean’s waves while he discovers the truth about himself and his family. When an unnatural riptide sweeps lifeguard Tristan out to sea for three days and then dumps him back on the shore of Coney Island, it’s the start of the Sea Court claiming its own. But the crown of the Sea Court can’t be given — it can only be won. And Tristan must battle merfolk, an evil sea witch, boy-hungry princesses, and killer creatures from the world’s darkest depths, which turns New York’s supernatural underbelly into a playground for things that go bump in the (ocean at) night. In this modern Arthurian tale with a twist, Tristan has to fight for his life, the lives of his friends, and his humanity (if he still wants it), as he’s caught in a race for a throne that is as ancient as the gods. But who can he trust when these seductive and duplicitous sirens have an agenda, as dark as it is deep, of their own? 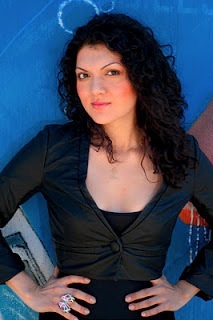 Zoraida Córdova was born in Guayaquil, Ecuador, where she learned to speak English by watching Disney’s The Little Mermaid and Michael Jackson’s Moonwalker on repeat. Her favorite things are sparkly like merdudes, Christmas, and New York City at night.